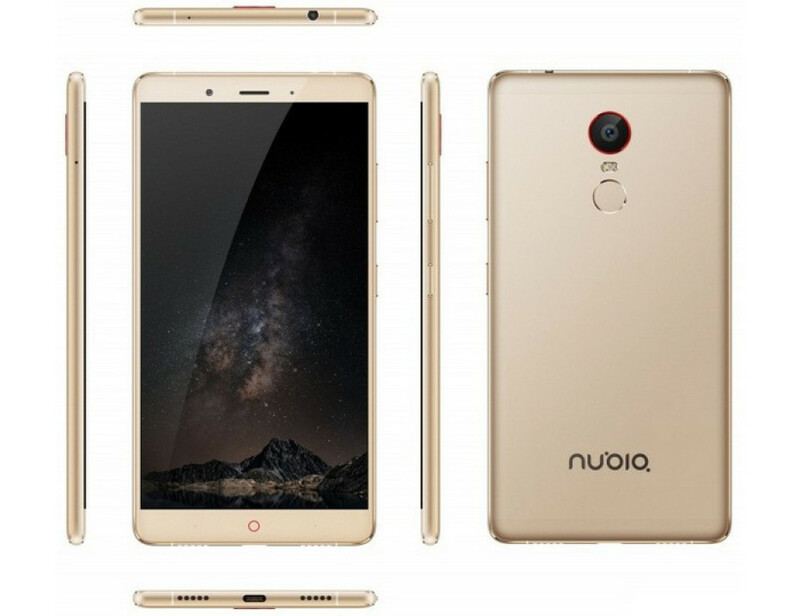 ZTE has expanded its Z11 smartphone family with the addition of a new handset called Nubia Z11 Max. Thus the device becomes the third member of the Z11 line – previously ZTE presented the Z11 smartphone and then its smaller Z11 mini version. The Nubia Z11 Max is bigger than both of them as the name of the handset suggests. The new smartphone is equipped with a 6-inch display that works at Full HD resolution and that sports Gorilla Glass 3 protection. The Nubia Z11 Max is based on a Snapdragon 652 processor that includes four Cortex-A72 cores that run at 1.8 GHz and four Cortex-A53 cores that work at 1.4 GHz. The smartphone also has Adreno 510 graphics, 4 GB of RAM and 64 GB of internal memory that can be expanded via a microSD card slot. In the back the Nubia Z11 Max has a 16 MP rear camera that uses a Sony IMX298 sensor and that has an aperture of f/2.0 and a dual LED flash. The front camera of the new ZTE smartphone features 8 MP of sensitivity, an aperture of f/2.4 and 80-degree viewing angles. The device also has a fingerprint sensor under the main camera. The Nubia Z11 Max is equipped with a 4000 mAh battery and runs Android 5.1 Lollipop under the Nubia UI 3.9.9 user’s interface. Finally here’s some info on the dimensions of this large smartphone – it measures 159.15 x 82.25 x 7.4 mm and weighs 185 grams. The Nubia Z11 Max will be in Chinese stores on June 18 where the handset will sell for around USD 304. The smartphone will be colored in gold, silver and gray colors. On June 18 ZTE will also release a special version of the Nubia Z11 Max that will feature an engraved autograph by the famous soccer player Cristiano Ronaldo. The special version will sell for USD 349.